We were treated to a delightful encore in the shape of some Scottish and Irish folk music (the violinists swapping positions with each other at this point). This was a brilliant way of rounding off the evening and sending the audience home with a spring in their step. 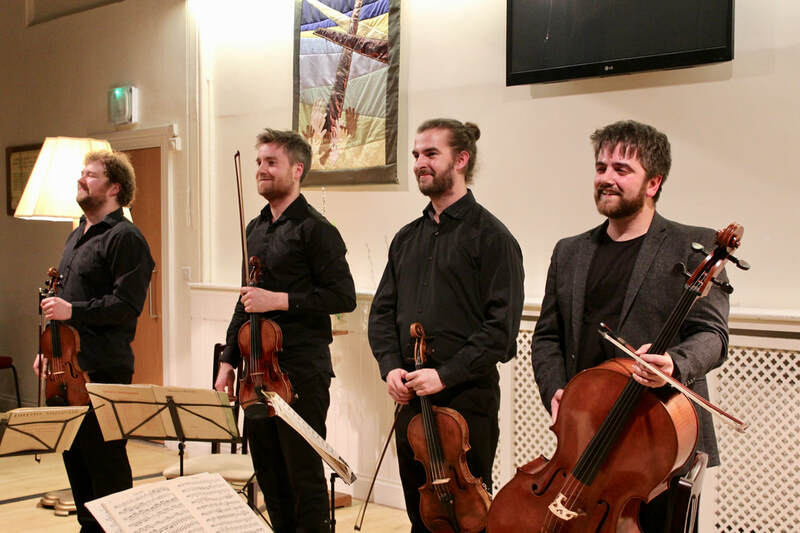 All told, it was a privilege to experience such a superb evening’s music-making, and the Maxwell Quartet’s evident enjoyment of their repertoire, and of each other’s company, proved infectious in the best possible sense! 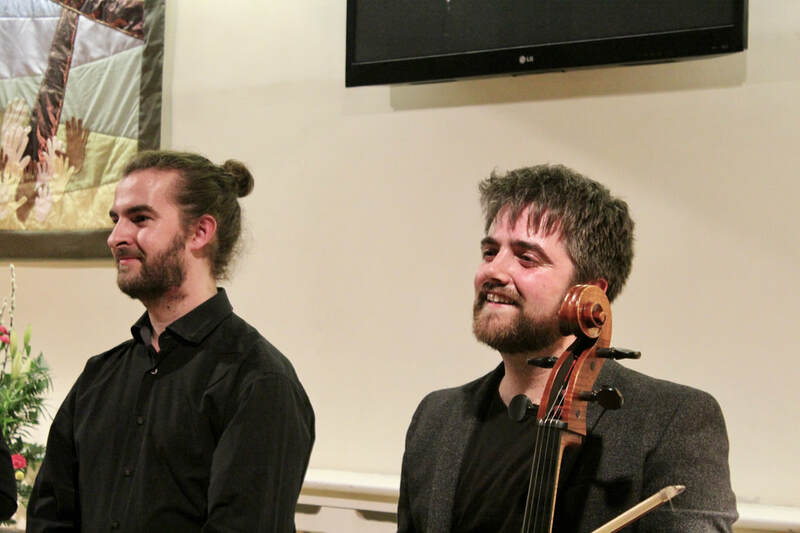 We wish this young quartet well as they continue to conquer the heights of the chamber music world. Often it is argued that London (e.g. Wigmore, Kings Place) is the only place to hear world class performance of chamber music. 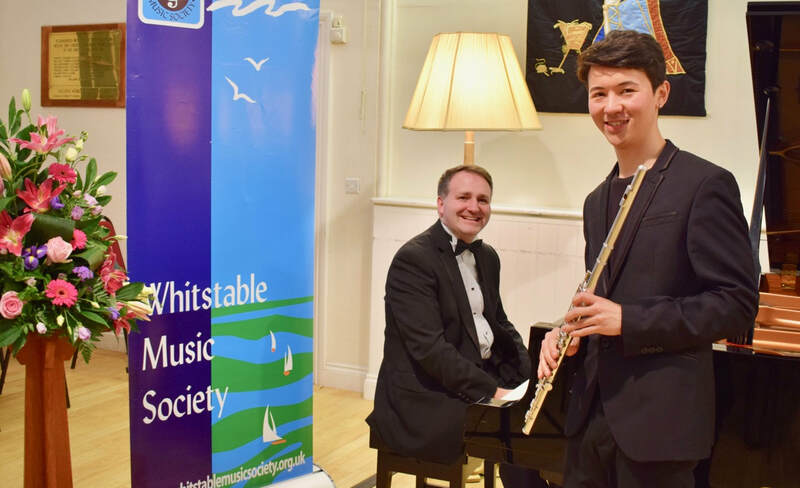 This idea was entirely contradicted when the Whitstable Music Society opened this years concert series with a recital given by the stellar Sacconi String Quartet together with one of the great English pianists Charles Owen. A full to capacity audience were enthralled by the programme from the outset, quite appropriately attracted by the prospect of one of Haydn's greatest quartets, 'The Emperor', one of the most sublime piano quintets in the repertoire by Dvorak, and the shock of the new in the piano quintet of English composer Johnathon Dove. They were not to be disappointed having been treated to ravishing playing by the Sacconis and the muscular pianism of Charles Owen. Virtuosity was in abundance throughout. Haydn, taxing the players in this highly developed and sophisticated genre, calling for extremes of dynamic, precise passage work and sonorous melody whilst Dove demanded complex rhythmic passages to be played with energy and panache. The dialogue between the quartet players and with the pianist was both uncanny and exciting, each enjoying the others interplay, communicating effectively with each other and audience alike. A rapturous reception at the conclusion of the Dove (the new kid on the block) was matched by the applause following the sensuously romantic Dvorak quintet. The music was sublime, so too the playing of the Sacconi Quartet and Charles Owen. 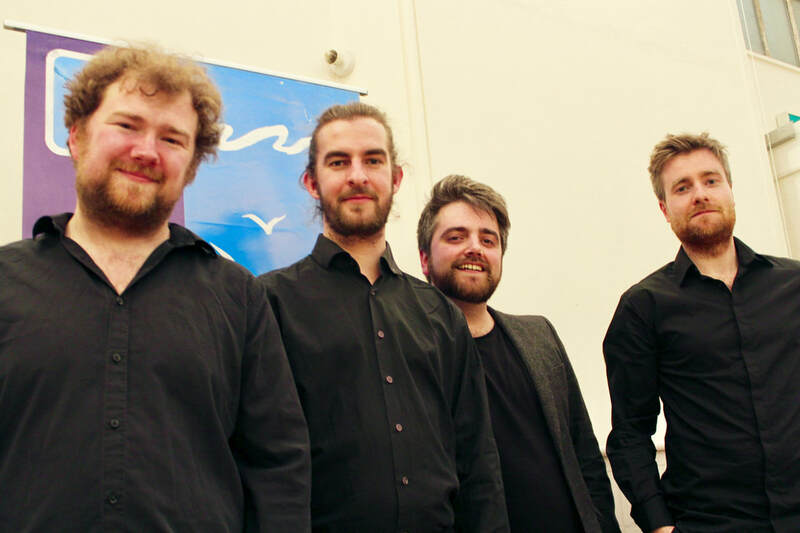 A world class start to a season of concerts in the seaside town of Whitstable.